The provision of municipal services in Goroka and Kainantu Townships has totally collapsed with both towns that should be condemned as health hazard and closed down. 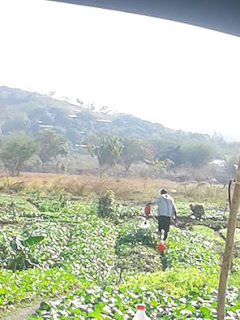 The Farmers and Settlers Association has and is concerned that the Provincial Administration and the two Urban Local Government Councils do not have the capacity nor technical knowledge and are poorly managed that the Minister for Inter Government Relations and National Government to step in immediately. President of Farmset Association, Wilson Thompson said Kainantu Town is without water supply for two years whilst Goroka has untreated and poor water supply which is a health hazard. Both have poor sewerage disposal and it's garbage and sanitation collection and disposal is non existent. Also people are looking after pigs, chicken and even gardening in residential allotments. All the parks and gardens and cemeteries are under bush and spots for rubbish disposal and are public toilets. Also, Kainantu market is in the open without shade and benches and open to dust, sun and rain whilst Goroka market has degenerated into a piggery with live pigs roaming around in the mud amongst the farmer's competing for food with buyers. So many issues raised in all forms of media and even photos ending in print, electronic and social media which does not result in action taken by the public service machinery. Mr Thompson said that many people especially farmers and rural people are concerned about the markets and whether the cooked food they buy and absence of hygiene poses a threat to their health and livelihoods. We are calling on the National Government to immediately stop the recruitment of the Provincial Administrator as most applicants are serving public servants in EHP who have shown incapable of running the systems and processes as required by the Organic Law, health laws, Municipal rules, Provincial Government and LLG Administration Acts and even the Animal Act as livestock are grazing as well as eating and living in markets and area designated under the Town or Urban area. People in Port Moresby and Lae are complaining of power cuts including EHP and without proper control and administration, it is a total health and hygienic hazard. We ask the ministers concerned to stop any appointment of Provincial Administrator, recruitment of any staff and Institute investigations into operation, management and administration including revenue generation, financial expenditures of EH Administration and the two Urban LLG and take appropriate action. If the two Urban centre's that manage and control EHP have deteriorated, we can imagine how the other District Administration and LLG are operating in the rural areas. Any investigation will reveal the deficiencies and for immediate remedial or emergency works to be undertaken. Mr Thompson said that if nothing is done by authorities concerned, we will organize a public forum and petition to concerned Ministers such as Minister for Inter Government Relations, Agriculture and Livestock, Public Enterprise, Health and concerned agencies.